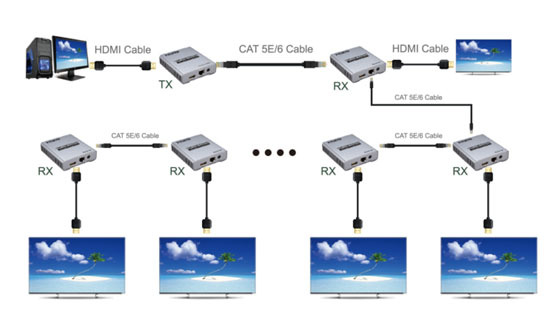 The 4K 120M HDMI extender uses one single cat-5E or cat-6(recommended) cable instead of HDMI cable, you can extend the HDMI1.3-1080P signal to 120 meters or HDMI2.0 4K@60Hz to 60 meters. The purpose of the extender is to achieves long-distance signal transmission with low-cost wires. 3: Low power consumption, low temperature and high safety. 1. 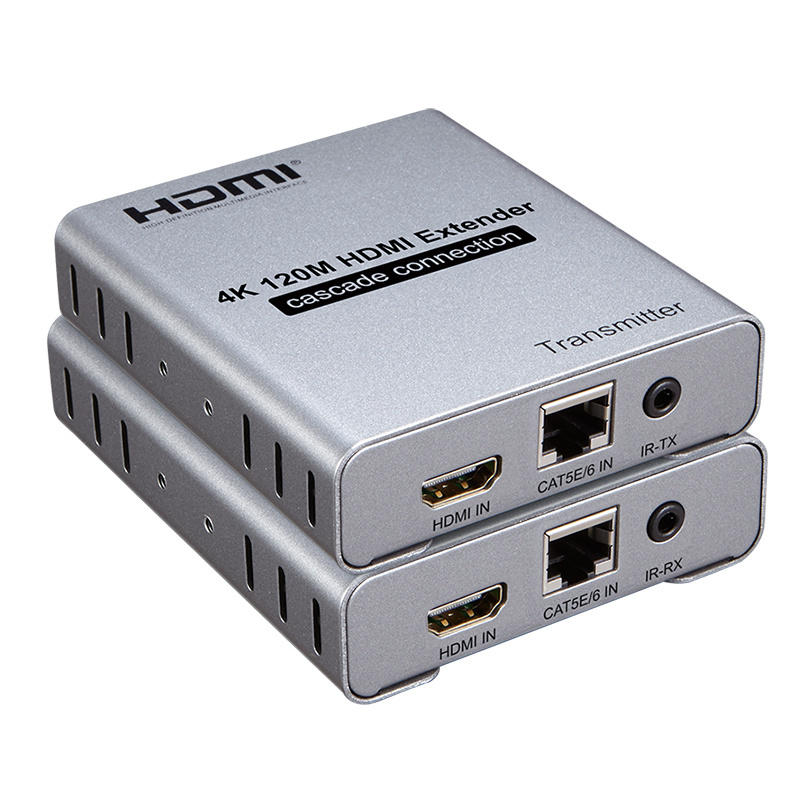 Connect source device with transmitter by one HDMI cable the cable max length is 10 meters. 2. Connect display device with receiver by one HDMI cable the cable max length is 10 meters. 3. Connect TX with RX by one cat5e or cat 6(recommended).the cable max length is 120 meters. 4. One pair of IR RX and IR TX cable, connected to the 3.5mm IR RX and IR TX ports of the transmitter and receiver respectively. 5. Connect the power supply to the TX and RX. 6.LED indicator:When a signal is input to work, steady blue light.